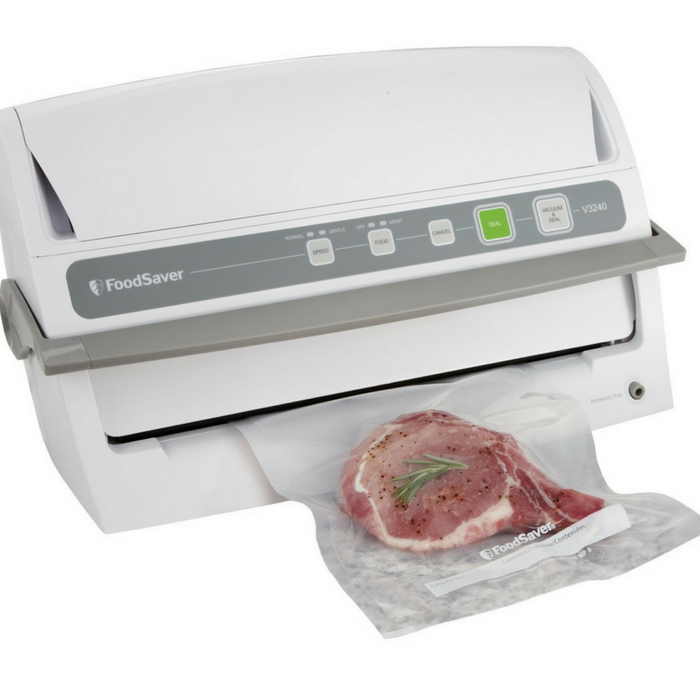 FoodSaver Vacuum Sealing System Just $71.30! Down From $133! PLUS FREE Shipping! You are here: Home / Great Deals / Amazon Deals / FoodSaver Vacuum Sealing System Just $71.30! Down From $133! PLUS FREE Shipping! Amazon is now offering this FoodSaver Vacuum Sealing System for just $71.30 down from $133.19 PLUS FREE shipping! The FoodSaver Vacuum Sealing System keeps food fresh up to five times longer than ordinary storage methods and prevents freezer burn. This system removes air and moisture from specially-designed, multi-layer bags while sealing in flavor so that your food tastes as if it was bought yesterday even after being in the freezer for months. Use it to freeze pre-made dinners that you can reheat during the week, to keep left over salad or pizza slices in the fridge for later, to deep-freeze cuts of meat, and much more.